Aristotle divided animals into those with blood and those without. Carl Linnaeus created the first hierarchical biological classification for animals in 1758 with his Systema Naturae, which Jean-Baptiste Lamarck expanded into 14 phyla by 1809. In 1874, Ernst Haeckel divided the animal kingdom into the multicellular Metazoa (now synonymous with Animalia) and the Protozoa, single-celled organisms no longer considered animals. In modern times, the biological classification of animals relies on advanced techniques, such as molecular phylogenetics, which are effective at demonstrating the evolutionary relationships between animal taxanomy. Humans make use of many other animal species for food, including meat, milk, and eggs; for materials, such as leather and wool; as pets; and as working animals for power and transport. Dogs have been used in hunting, while many terrestrial and aquatic animals are hunted for sport. Non-human animals have appeared in art from the earliest times and are featured in mythology and religion. World Animal Day was originated by Heinrich Zimmermann, the German writer and publisher of the magazine Mensch und Hund/Man and Dog. He organized the first World Animal Day on 24 March 1925 at the Sport Palace in Berlin, Germany. Over 5,000 people attended this first event. The event was originally scheduled for 4 October, to align with the feast day of Saint Francis of Assisi, patron saint of ecology, however the venue was not available on that day. The event was moved to 4 October for the first time in 1929. Initially he found a following only in Germany, Austria, Switzerland and Czechoslovakia. Every year Zimmermann worked tirelessly on the promotion of World Animal Day. Finally, in May 1931 at a congress of the International Animal Protection Congress in Florence Italy, his proposal to make 4 October World Animal Day universal, was unanimously accepted and adopted as a resolution. World Animal Day was also mentioned in 1931 at the convention of ecologists in Florence, Italy who wished to highlight the plight of endangered species. Lindsey Buckingham, the American singer-songwriter, guitarist, and producer with Fleetwood Mac, was born 3 October 1949. Fleetwood Mac were formed in 1966 in London. Fleetwood Mac were originally named The Bluesbrekers. Founder Peter Green named the group by combining he surnames of two of his bandmates (Fleetwood and McVie). Christine Mcvie joined the band in 1970 while married to John McVie, Green asked if dummer Mick Fleetwood could join having already been in two bands with Fleetwood. The Bluesbreakers now consisted of Green, Fleetwood, John McVie and Mayall. Green contacted Fleetwood about forming a new band and wanted McVie on bass guitar even naming the band ‘Fleetwood Mac’ as a way to entice him. The band made its debut in 1967 at the Windsor Jazz and Blues Festival. Feetwood Mac’s first album, Fleetwood Mac, was a no-frills blues album and featured two singles “Black Magic Woman” (later a big hit for Santana) and “Need Your Love So Bad”. The band’s second album, Mr. Wonderful, was released in August 1968. This was also an all-blues album, Then next album was “Then Play on”. Sadly Peter Green left and In September 1970, Fleetwood Mac released Kiln House which was more rock. To which Spencer contributed the country-tinged “Sun Sound” and Christine sang backup vocals, and drew the album cover. They also released a single “Dragonfly” b/w “The Purple Dancer”. Christine McVie, made her first appearance with the band in 1969 and played her first gig as an official member on 6 August 1970 in New Orleans. An album of previously unreleased material from the original Fleetwood Mac called The Original Fleetwood Mac was also released, Then While on tour in 1971, guitarist Jeremy Spencer disappeared and joined the religious group, the Children of God. So the band decided to search for a new guitarist & In 1971 the band hired Bob Welch .In September 1971, the band released Future Games & six months later the band released the album Bare Trees featuring the songs “Sentimental Lady”, &“Spare Me a Little of Your Love”. While on tour Danny Kirwan developed an alcohol dependency and Fleetwood fired him. During The next two and a half years they released three albums and In September 1972, the band added guitarist Bob Weston, vocalist Dave Walker and hired Savoy Brown’s road manager, John Courage. In 1973 Mick, John, Christine, Welch, Weston, and Walker recorded Penguin. After the tour, the band fired Walker. The remaining five recorded Mystery to Me six months later containing the song “Hypnotized” . However, things were not well within the band. The McVies’ marriage was under a lot of stress, aggravated by their constant working together, and John McVie’s considerable alcohol abuse. During the tour, Weston also had an affair with Fleetwood’s wife, Jenny Boyd Fleetwood, the sister of Pattie Boyd Harrison. Fleetwood soon fired Weston and the tour was cancelled. Then in one of the most bizarre events in rock history, the band’s manager, Clifford Davis, claimed that he owned the name Fleetwood Mac and assembled a “fake Mac”. Nobody in the “fake Mac” was ever officially in the real band, Fans were told that Bob Welch and John McVie had quit the group, and that Mick Fleetwood and Christine McVie would be joining the band at a later date. Fleetwood Mac’s road manager, John Courage, hid the real Fleetwood Mac’s equipment, which helped shorten the tour by the fake band. But the lawsuit that followed put the real Fleetwood Mac out of commission for almost a year. The issue was who actually owned the name “Fleetwood Mac”. While it would seem obvious that the band was named after Fleetwood and McVie, they had signed contracts which forfeited the rights to the name. The “real” Fleetwood Mac were in fact Fleetwood, Welch and the McVies. While this did not end the legal battle, the band was able to record as Fleetwood Mac again. Instead of getting another manager, Fleetwood Mac decided to manage themselves and released Heroes Are Hard to Find in 1974. After Welch left the band They added the keyboardist Doug Graves And began searching for a replacement for Welch. While scouting Van Nuys, California, Fleetwood heard the song “Frozen Love” by the band, Buckingham Nicks. Fleetwood liked it, and was introduced to the guitarist from the band, Lindsey Buckingham and asked him to join. Buckingham agreed, on the condition that his musical partner and girlfriend, Stephanie “Stevie” Nicks, also become part of the band; Fleetwood agreed. Buckingham and Nicks joined the band on New Year’s Eve 1974. In 1975, the new line-up released the eponymous Fleetwood Mac. The album became a huge hit, and contained the songs “Over My Head” and “Say You Love Me”, and Stevie Nicks’ “Rhiannon” and “Landslide”. Sadly John and Christine McVie’s marriage ended, as did Buckingham and Nicks’ long term romantic relationship. Even Fleetwood was in the midst of divorce proceedings from his wife, Jenny. The pressure put on Fleetwood Mac to release a successful follow-up album, combined with their new-found wealth, led to creative and personal tensions, fuelled by high consumption of drugs and alcohol. 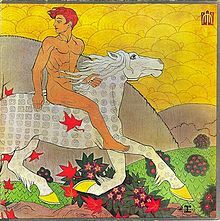 This led to Fleetwood Mac releasing the classic album Rumours, which laid bare the emotional turmoil they were experiencing and received aGrammy Award for Album of the Year for 1977. Hit singles included Buckingham’s “Go Your Own Way”, Nicks’s U.S. No.1 “Dreams”, and Christine McVie’s “Don’t Stop” and “You Make Loving Fun”. Buckingham’s “Second Hand News”, Nicks’ “Gold Dust Woman” and “The Chain”. ’. Buckingham pursuaded by Fleetwood to make the next album more experimental and the result was the quirky 20-track double album, Tusk, released in 1979. It spawned three hit singles; Lindsey Buckingham’s “Tusk” Christine McVie’s “Think About Me” and Stevie Nicks’ 6½ minute opus “Sara” .Tusk remains one of Fleetwood Mac’s most ambitious albums to date. It was during the subsequent world tour that the band recorded music for the Fleetwood Mac Live album, which was released at the end of 1980.The next album, 1982′s Mirage, following 1981 solo turns by Nicks (Bella Donna) and Buckingham (Law and Order), which was a return to the more conventional sound to recapture the huge success of Rumours. Its hits included Christine McVie’s “Hold Me” and “Love In Store” Stevie Nicks’s “Gypsy”, and Lindsey Buckingham’s “Oh Diane”, A minor hit was also scored by Buckingham’s “Eyes Of The World” and “Can’t Go Back”. Following Mirage, the band members went on to pursue solo careers. Stevie Nicks released two more solo albums (1983′s The Wild Heart and 1985′s Rock a Little), Lindsey Buckingham issued Go Insane in 1984, the same year that Christine McVie made an eponymous album (yielding the Top 10 hit “Got A Hold On Me” and the Top 40 hit “Love Will Show Us How”). However, during this period, Mick Fleetwood filed for bankruptcy, Nicks was admitted to the Betty Ford Clinic for addiction problems, and John McVie had suffered an addiction-related seizure—all attributed to the lifestyle of excess afforded to them by their worldwide success and It was rumoured that Fleetwood Mac had finally broken up. 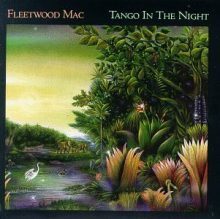 However Fleetwood Mac recorded one more album for the time being, Tango in the Night, in 1987. The album went on to become their best-selling release since Rumours, Itcontained four hits: Christine McVie’s “Little Lies” and “Everywhere” (the former being co-written with McVie’s new husband Eddy Quintela), Sandy Stewart and Stevie Nicks’ “Seven Wonders”, and Lindsey Buckingham’s “Big Love”. “Family Man”, “Isn’t It Midnight”, Lindsey Buckingham left and Following his departure, Fleetwood Mac added two new guitarists to the band,Billy Burnette and Rick Vito. Vito, who admired Peter Green and had played with many artists from Bonnie Raitt, John Mayall, and John McVie on two Mayall albums. The band, minus Christine McVie, toured in 1994 performing classic Fleetwood Mac songs from the initial 1967–1974 eraOn 10 October 1995, Fleetwood Mac released Time and disbanded Bramlett and Burnette subsequently formed a country music duo, Bekka & Billy.Just weeks after disbanding Fleetwood Mac, Mick Fleetwood announced that he was working with Lindsey Buckingham again. John McVie was soon added to the sessions, and later Christine McVie. Stevie Nicks also enlisted Lindsey Buckingham to produce a song for the Twister film soundtrack. This eventually led to a full Rumours line-up reunion when the band officially reformed in March 1997. The regrouped Mac performed a live concert and from this performance came the 1997 live album The Dance. They also released the 20th anniversary of their Rumours album. However, this would be the final foray of the classic line-up with Christine McVie.Stevie Nicks and Lindsey Buckingham on the Say You Will Tour, 2003.In 1998, Fleetwood Mac (Mick Fleetwood, John McVie, Christine McVie, Stevie Nicks, Lindsey Buckingham, Peter Green, Jeremy Spencer and Danny Kirwan) were inducted into the Rock and Roll Hall of Fame and performed at the Grammy Awards program that year. They were also the recipients of the “Outstanding Contribution to Music” award at the BRIT Awards(British Phonographic Industry Awards) the same year. In 1998, Christine McVie left the band permanently, leaving Buckingham and Nicks to sing all the lead vocals for the band’s 2003 album,Say You Will, although Christine contributed some backing vocals and keyboards. The album contained the songs “Say you will” and “Peacekeeper”. In 2008 it was reported Sheryl Crow would be working with Fleetwood Mac in 2009. Fleetwood Mac toured in 2009, The tour was branded as a ‘greatest hits’ show entitled Unleashed, playing tracks like “Storms” and “I Know I’m Not Wrong”. Stevie Nicks also premiered part of a new song that she had written about Hurricane Katrina. The Very Best of Fleetwood Mac was re-released. An episode of Glee entitled “Rumours” featuring six songs from the band’s 1977 album was broadcast, sparking renewed interest in the band. 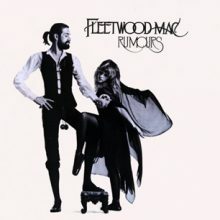 “Rumours” reentered the charts, the same week that Stevie Nicks’ new solo album In Your Dreams. Fleetwood Mac reunited for a 2013 tour minus two of the orginall members: late guitarist and singer Bob Weston and late guitarist Bob Welch performing two new songs (“Sad Angel” and “Without You”) with the hits.